The Social Broadcasting Workshop: Digital Media / Emerging Technologies, School of Art, San Francisco State University, takes place October 3 & 5, 2-5pm, and will be taught by visiting artist Randall Packer, in collaboration with Paula Levine. The Social Broadcasting Workshop explores the live video broadcast as a social, collaborative exchange, in which Facebook Live broadcasts are aggregated in an interplay of collective improvisation, composition, and narrative. We refer to this collaborative, many-to-many broadcast paradigm as social broadcasting, as opposed to the one-way paradigm of traditional broadcasting. The social broadcasting project in Facebook Live began in the summer of 2017 with the #NeWWWorlDisorder performance involving 12 artists from six countries in Europe and North America: all broadcasting live and simultaneously to an online interactive video wall. For the SFSU Social Broadcasting Workshop, we divide into six groups: 3 groups of 3 and 3 groups of 4 totalling 21 students. Each group broadcasts video via Facebook Live from their mobile phones to our Facebook group page. Each member of the group is responsible for formulating a theme or narrative concept devised by their group, and then broadcasts synchronously and simultaneously with other members for a duration of 15 minutes. Students broadcast with their mobile phones. As mobile-broadcasters, we are untethered from the computer and free to roam the surrounding environment. Each group of mobile-broadcasters distributes themselves while moving on a pre-determined path to capture found sounds and images, and perhaps their own voice, according to the requirements of each group’s narrative concept. The live streams of each group of mobile-broadcasters is aggregated on the interactive video wall, where the broadcasts can be controlled independently in the adjustment of sound. Workshop participants view the projected wall in the classroom while each group is performing. Once each performance is over, the videos are posted and saved so they can be archived permanently on the video wall. The goal of this workshop is to explore what is possible with social broadcasting. Each group devises their own narrative strategy, such as game play, audio-visual “cross-streaming,” in which a motif passes through each video, or an aggregate composition of contrasting imagery and sound, or perhaps abstract realizations using Facebook Live effects. Since this project is conceived as a social event, it is important that participants collaborate on collective approaches, including the type of captured imagery, incorporation of spoken text, camera motion, location, juxtaposition of imagery, montage, etc. We are looking for ideas that might fall outside of these suggestions. Each group chooses a location or set of locations within or close to the Fine Arts Building, to be captured over a precisely 15 minute duration. The 15 minute broadcasts began in the classroom, then diverge to the various locations, then converge once again back in the classroom. Participants can either go to distributed locations, or be in close proximity to one another in order to capture “cross-streams,” in which two or more artist-broadcasters are interacting with one another. The SFSU Social Broadcasting Workshop takes place over a two-day period. The first day we discuss a historical and theoretical overview of social broadcasting and cross-border collaboration. We then review and configure the mobile software, learn the basics of mobile broadcasting in Facebook, work in groups to discuss project ideas. In between the two workshops, groups discuss and refine their ideas, and create practice/test broadcasts to the Facebook Group Page. Students can create a Google Doc to collectively document their notes. The second day we review the project ideas, answer questions, and then each group will perform their project for the class. At the end of the workshop we have a critique and discuss ideas for a future cross-border collaborations. Download the Facebook app on your mobile phone, if you haven’t already, or be sure the app is updated to the latest version. Be sure you have a Facebook account! Charge your phones and bring a charger cable to class. Join the “SFSU Social Broadcasting Workshop” Facebook Group Page and make it a “Shortcut” in Facebook. This is a public group that we will use for experimentation, testing, and performance. Read the following: (1) Transmission to the People, a blog post by Randall Packer about the Videofreex, video pioneers from the 1960s who pointed the way to social broadcasting; (2) Welcome to Electronic Café International, an essay by network pioneers Kit Galloway and Sherrie Rabinowitz. 2:10pm – 3:30pm: Overview of history, theory and concepts of social broadcasting and cross-border, networked collaboration. We will discuss the work of the Videofreex, Hole-in-Space by Kit Galloway and Sherrie Rabinowitz, and examples of cross-border collaboration. See “Notes for History, Theory, and Concepts” below for additional details. 3:30pm – 4:30pm: Hands-on Workshop covering the fundamental of social broadcasting using mobile phones and Facebook Live. See “Technical Instructions for Facebook Live Broadcasting” below for additional details. 4:30pm – 5:00pm: Group discussion of project ideas. Groups should be in communication to refine ideas. Each group can communicate by email, or create an optional Google Doc to collectively organize your notes. It is suggested that you run a technical test of your route to test wireless and cellular reception. If the wireless reception is spotty or drops out, use cellular. 2:10pm – 4:00pm: Performances, each group performs a 15 minute work while other students observe on the interactive video wall. Everyone needs to access our Facebook group page. Instructions for Performers: Explain to the class briefly what you are going to do and provide any viewer interaction instructions. Try to synchronize your start time and note the clock on your phone so you return to the classroom and stop your broadcast at 15 minutes. Instructions for Viewers: You can watch the live broadcasts on the interactive wall projected in the classroom. If a performance involves viewer interaction, look for the broadcasts on the SFSU Group Page (or refresh the page) and click on a live feed to open up the chat so you can communicate with a specific performer. Group 4: Vanessa / June / Daniel / Luca? 4:00pm – 5:00pm: Critique, discussion, review, and exploration of a cross-border collaboration with students in Singapore. You should have already downloaded the Facebook app, which works for both iOS and Android phones. Be sure the app is the most recent version. Be sure your mobile phones are fully charged before class. It is advised that you use cellular data during performance if the wireless network is spotty, or if there is dropout because you need to go in and out of wireless networks. Swipe up the iOS control center (not sure about Android) and make sure the the Portrait Orientation Lock is NOT ON. Always broadcast in landscape mode by orienting the phone that way BEFORE broadcasting. Once broadcasting, you can’t change the orientation, unless you want the image to be rotated sideways. Be sure you have joined the SFSU Social Broadcasting Workshop Facebook Group Page and have pinned it to your shortcuts. Hover over the edit button on the left side of your Facebook page shortcuts, click and find the SFSU group page, and pin it to the top of shortcuts. Note the Effects button, which looks like a magic wand. Click and familiarize yourself with all the effects to determine if you want to incorporate them. Some of them are very cheesy so beware, but some of the various “looks” are interesting if you want to add abstraction, glitch, paint, etc. While broadcasting you can use the chat functionality to communicate with other members of your group, although it will not be possible to see each other’s live feeds. When you are done broadcasting, click on the “Finish” button and then “Post.” This is very important so that your video is archived on the Facebook Group Page. Should you want to delete the video, you can delete it from the Page like any Facebook post. Your performance broadcast will be archived on the video wall, which requires special coding and is done by Randall Packer. He will grab the URL of each broadcast when you begin, and input them into a video wall assigned to each group. You will be provided with a URL to this wall during the workshop. It is not possible to test the wall on your own. Since the 1980s, multimedia artist, composer, writer and educator Randall Packer has worked at the intersection of interactive media, live performance, and networked art. He has received critical acclaim for his socially and politically infused critique of media culture, and has performed and exhibited at museums, theaters, and festivals internationally. Packer is a writer and scholar in new media, most notably the co-editor of Multimedia: From Wagner to Virtual Reality and the author of his long running blog: Reportage from the Aesthetic Edge. He is an Associate Professor of Networked Art at the School of Art, Design and Media, Nanyang Technological University in Singapore, where he founded and directs the Open Source Studio (OSS) project, an educational initiative exploring collaborative online research and teaching in the media arts. Currently he is organizing the Third Space Network (3SN), an Internet broadcast channel for live media arts and creative dialogue. If you have any questions, feel free to email Randall Packer at rpacker @ zakros.com. Look forward to meeting you all! Assigned reading: Transmission to the People, blog post by Randall Packer. 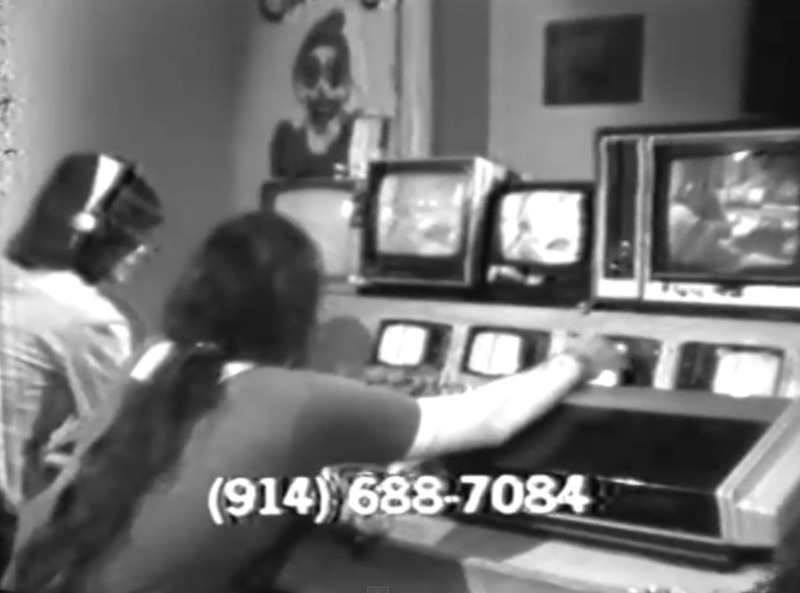 Videofreex was one of the pioneer production groups that formed when consumer video was first introduced. Over the nine+ years together (1969 -1978), the Freex produced several thousand videotapes, installations and multimedia events and trained hundreds of videomakers in the brand new video medium. They were part of a fast-growing alternative video network that covered the 1970s counter culture and the Movement (actually many political and social movements). Without regard for the rules of broadcast TV or for independent filmmaking, they strove to find out what was unique for the new, separate medium of video and passionately broke new creative ground. Kit Galloway and Sherrie Rabinowitz, founders of the Electronic Café in Santa Monica, California, were among the first artists to begin exploring communications art through satellite technologies. Their seminal work, Hole-in-Space from 1980, represented one of the earliest examples of live, networked media art. They setup two large projection screens: one at Lincoln Center in New York City, the other at Century City in Los Angeles, to connect two live audiences. 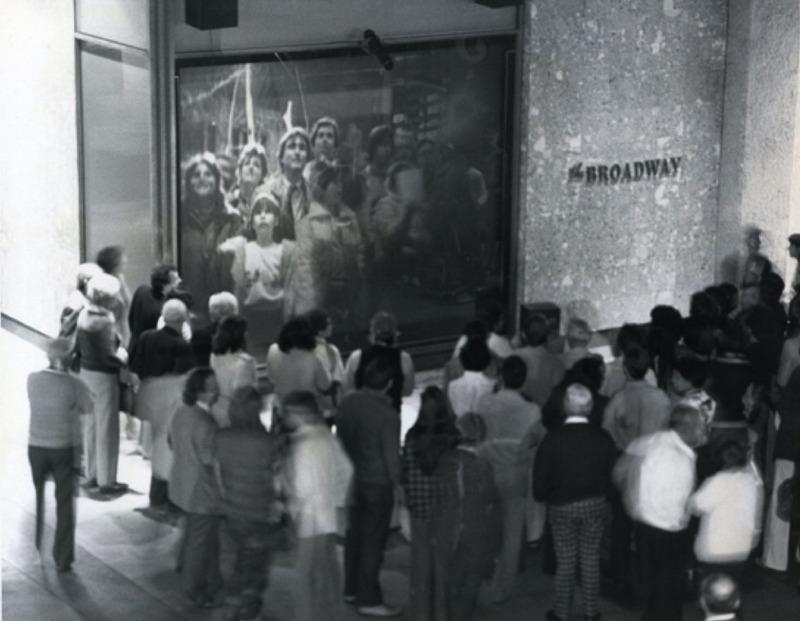 Conceived as a participatory event (much like the early theatrical Happenings), this unannounced project, setup for three consecutive days, enabled two groups of viewers to see the other live and in real-time across the space of the US, which literally collapsed the distance and experience of the real and the virtual, the local and the remote. Kit Galloway (b. 1948) and Sherrie Rabinowitz (1950-2013) co-founded the Electronic Café International (ECI), a cafe, networking centre, performance and workshop space and art hub in Santa Monica, California. Until Rabinowitz’s death, they created numerous art works which could be categorized as communication aesthetics, telematic art and digital theatre.